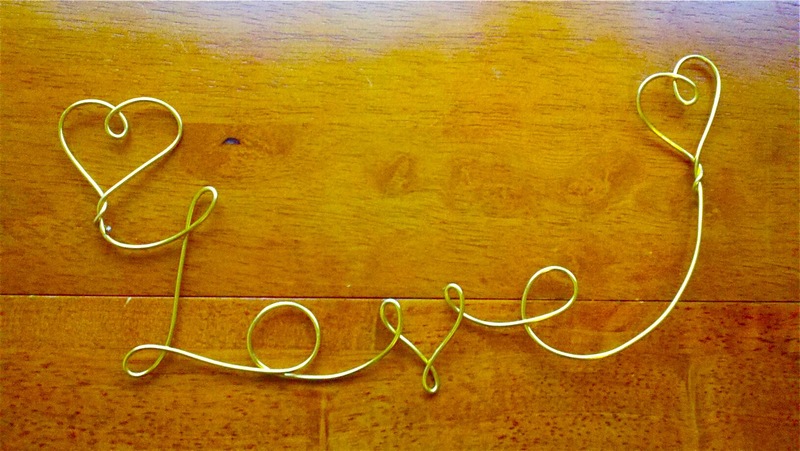 Gorgeous wire cake toppers, like the one below from Allegro Art, are all over Etsy. Unfortunately, they are expensive! This one is listed for $25. I consider myself to be a pretty crafty person, so I pinned it to my Wedding Cake board on Pinterest and thought, "Why couldn't I make that myself?" 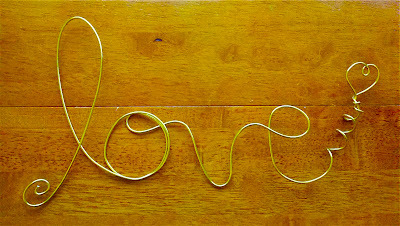 After searching Amazon.com for gold aluminum wire, I found some for only $6.81 (with free Amazon Prime shipping, woo hoo!). So when it came in the mail, I got to work! I couldn't take pictures because (1) I didn't know what I was doing, and (2) my hands were pretty busy. Anyways, I'll do my best to give you some tips/instructions on how to make your own! Find letters that you like online or by trying out different fonts. 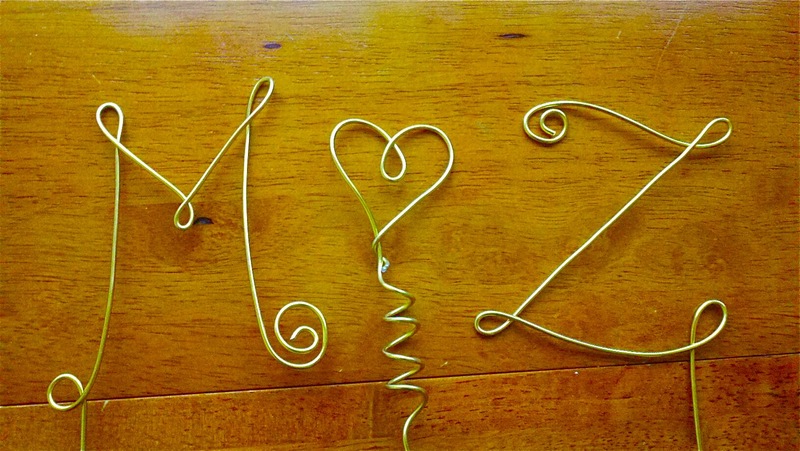 I used wire cake toppers from Etsy as my inspiration for the "M" and the heart, and found a script "Z" (below) to copy from Google images. 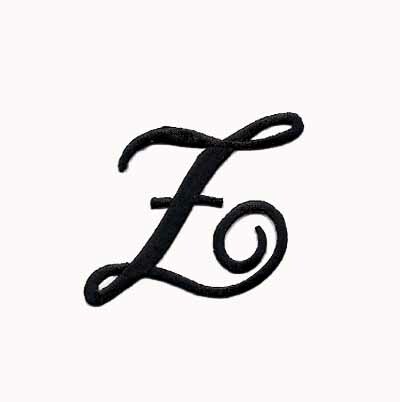 When making swirls for the ends of letters, it's best to twist it with your fingers, then use the pliers to bend the middle of the swirl in further (its hard to make that tight of a bend with just your fingers). 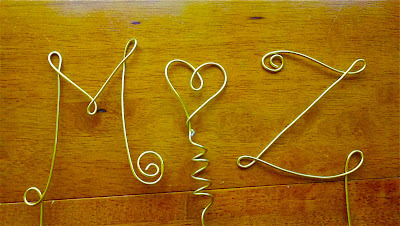 For my letters, I left extra wire at the ends as that is what will stick into the cake. 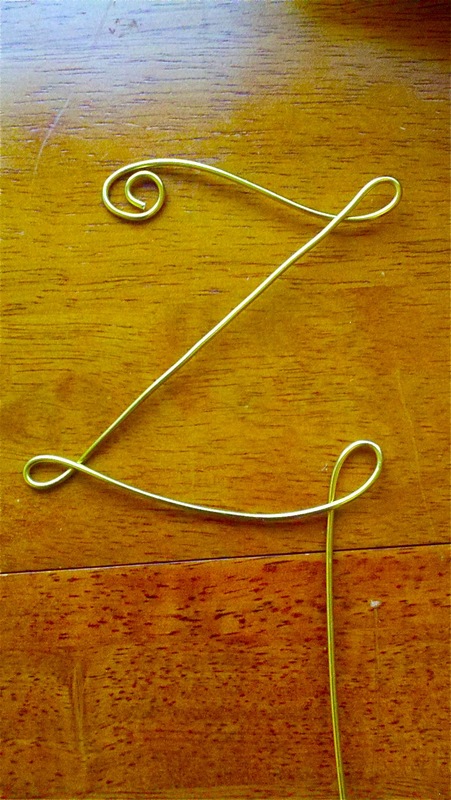 Make sure you are conscious of the way the wire needs to bend when coming out of a loop. 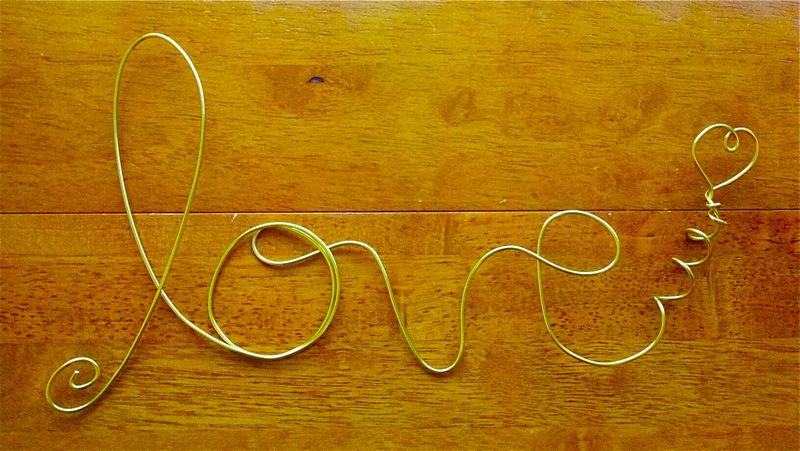 Look at the letters closely and plan ahead before you start bending the wire. 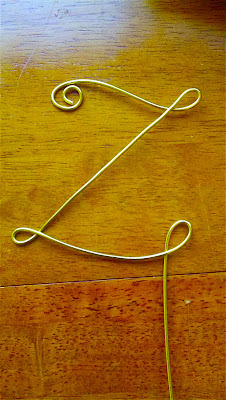 Once it bends one way, it's hard to make it bend the other way and still look nice and straight. 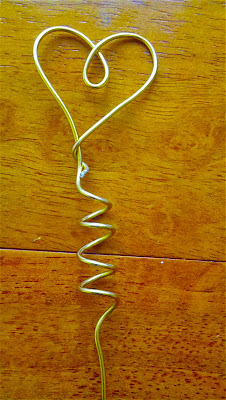 If you want a tight swirl, like you see on the stem of the heart, wrap the wire around your pinky finger a couple of times, then stretch it out a bit. A pen or pencil would also make a nice even swirl. 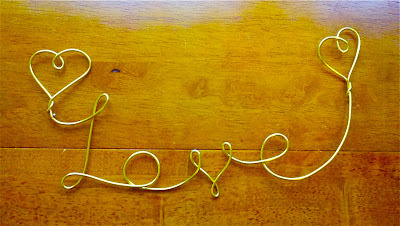 I also played around with different ways to write the word "love" using one piece of wire. I'm going to use the initials for our cake topper, but words like "love" and "i do" are common as well! 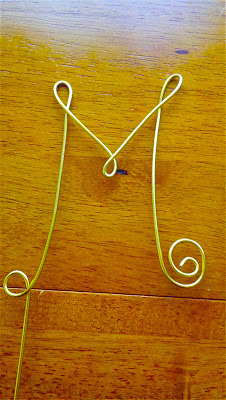 For points of letters (like the tops of the "M" and the bottom of the "V"), an easy way to make the wire go the other direction after the point is to make a loop. 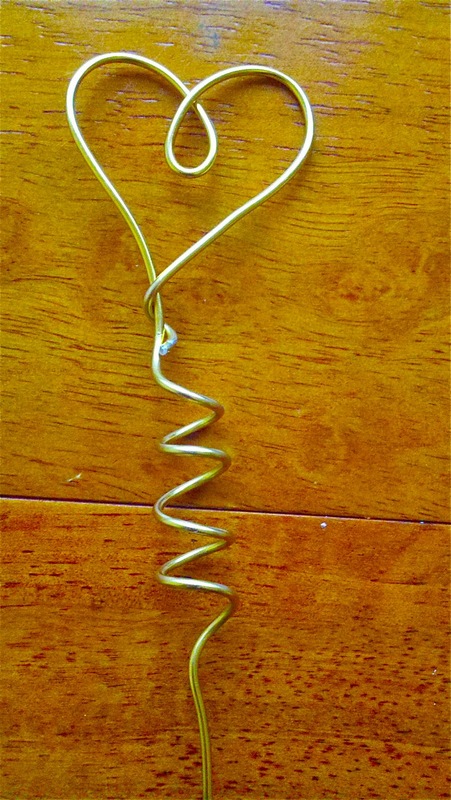 You could also just bend the wire the other direction and use your pliers to squeeze the point together. 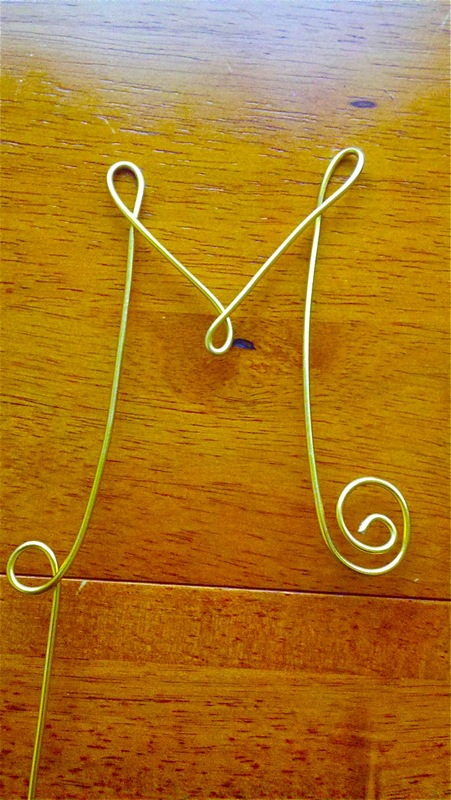 I liked the look of the loop better, but the "M" in the sample picture from Etsy at the top of this post looks very nice! Thanks for the info and tips! This was helpful. 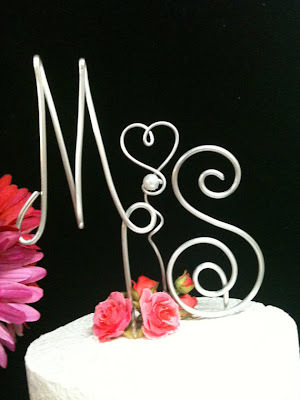 I've been looking online at these- I like the idea of making them. Definitely doing this for my wedding in November!